AIDC - SoundCloud Will Now Pay For Your DJ Mixes! Exclusive : The music-streaming platform is expanding its revenue sharing program to include producers and remixers. SoundCloud announced today that DJs and producers who upload mixes and remixes to the music-streaming service will now be able to monetize them for the first time, THUMP can exclusively reveal. As of today, SoundCloud is expanding its invite-only revenue-sharing program to include artists who create "recorded and live sets, remixes, and other user-generated content." 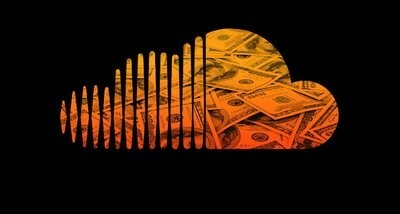 SoundCloud's Chief Content Officer Stephen Bryan told THUMP: "This will be the first time we've invited DJs and producers who create remixes and sets on SoundCloud to start to be able to monetize and participate in the revenue that we're generating through ads and subscriptions." SoundCloud's Premier program was launched in 2014 as a way for users to earn money off the work they upload to the platform. Like other revenue-share models, users who upload content to the platform are able to share in the income made through advertising and its two subscription services. SoundCloud's competitors Apple Music and Spotify both have similar revenue models in place; the way these schemes work is directly tied to both the performance of the artist (how many plays they get) and the service overall. "Revenue that's generated through ads and subscription payments by consumers is divided up and paid out based on how content is consumed," Bryan said. Although he did not specify the exact metrics used to determine how much artists will get paid, he said that payments are based on "share of engagement" and "listening time." Since the deals were made, the takedown rate—something that has long plagued the site—has dropped by 40 percent in the last 12 months, a historic low for the company, according to a spokesperson. SoundCloud's most recently available financial data revealed that the company is still loss-making, but that its revenue was up 20 percent from the previous year. "This is the natural evolution of our mission, Bryan said. "The ability to make money on our platform from the creativity [the users] are contributing to the community."